- Less fuss - now you can get silky smooth legs with no need to spread the cream - simply spray it on! 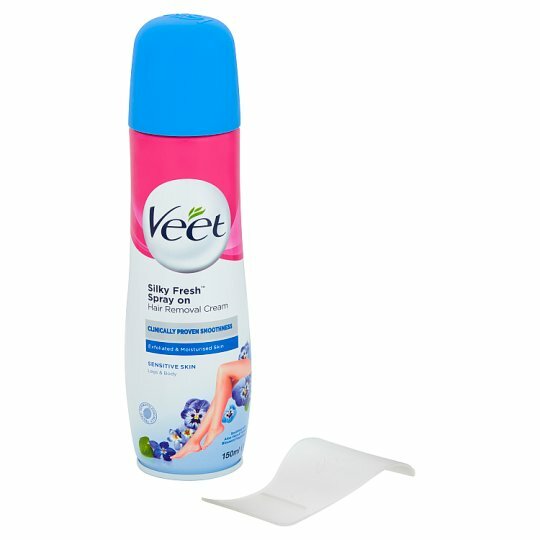 Don't get caught out with stubbly, hairy legs - now you can get silky smooth legs with no need to spread the cream, simply spray it on! Veet Spray-On Cream works close to the root even on short hair, giving you smoothness for up to a week. Great for use on your legs, underarms and bikini line. The gentle formula means the skin is left hydrated for up to 24 hour and leaves you feeling silky smooth and ready for anything.